Bucharest, the city of contrast and vibrant lifestyle. 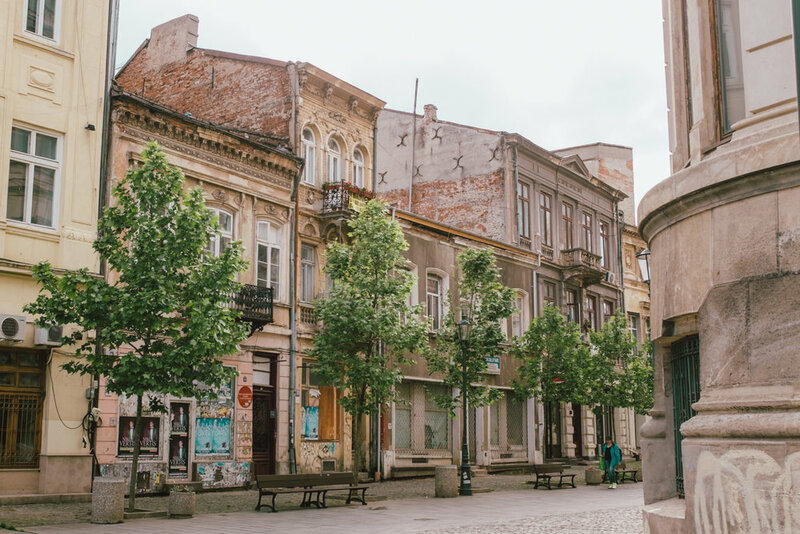 A place where Balkans dance to Latin Music, and trendy restaurants and secret gardens co-exist amid decaying buildings. 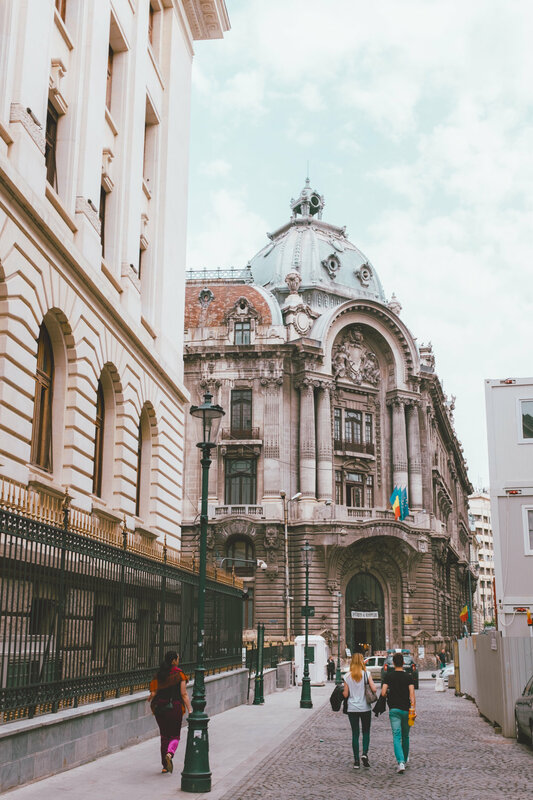 Emerging from its communist past, Bucharest is ready to captivate its visitors with its rich history, hidden gems, and alluring lifestyle. After spending a few days discovering the city, it is safe to say that Bucharest is one of the most underrated cities in Europe. It’s impossible to describe my entire experience in Bucharest without making this post terribly long. So here you have the first of several posts to come. The first thing you should always do when visiting a new city is: join a city tour! It’s a great way to get your basic knowledge and the touristy sights out of the way – that means more time to explore and find hidden gems! Romania’s history is complex and full of twists. 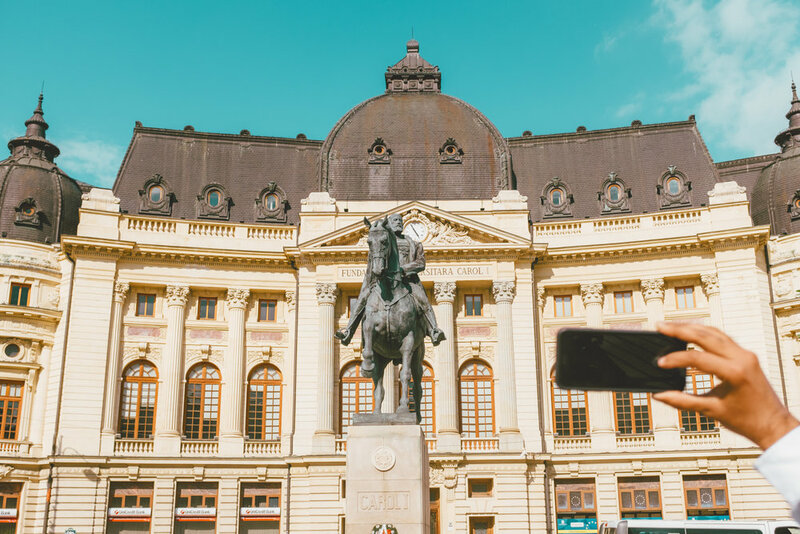 So, before you venture into your excursion, get your Bucharest History 101 on this walking tour. The tours – in addition to this one – truly helped me see what lies beneath the surface of this sophisticated city. A tour for a great cause! Although this may not be your typical walking tour, I highly recommend partaking as it supports homeless charity. Our guide - a former homeless - took us on his journey from drug abuse to recovery while explaining the link between communism and homelessness in Romania. It was indeed an eye-opening and touching experience. During communism, many buildings were abandoned or neglected. 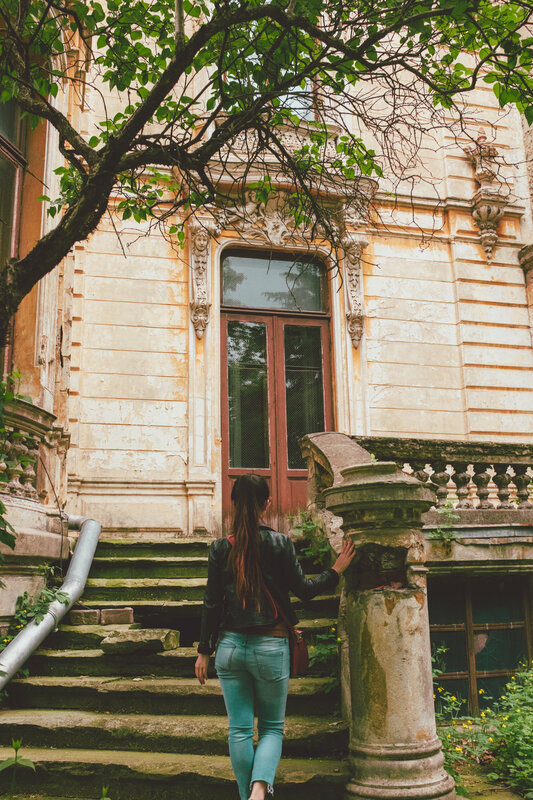 Beautiful Decay Tour takes you on a journey to explore some of those buildings and the history behind them. If you are a photographer, the decaying buildings make out for some beautiful backdrops. The old city of Bucharest is ironically very new. Although some of the structures date as far back as the 15th century, the cobblestones were laid in 2011 to revive what was once a dangerous district. Today, the old city is bubbling with life. Where was before a slum, is now a flourishing quarter with quirky shops, bars, restaurants, and coffee shops. The old town is especially popular among tourists at nighttime. But stay tuned for my Locals Recommend post to find out where the Bucureșteni hangout. The Mogosoaia Palace turned museum located at the outskirt of the city. 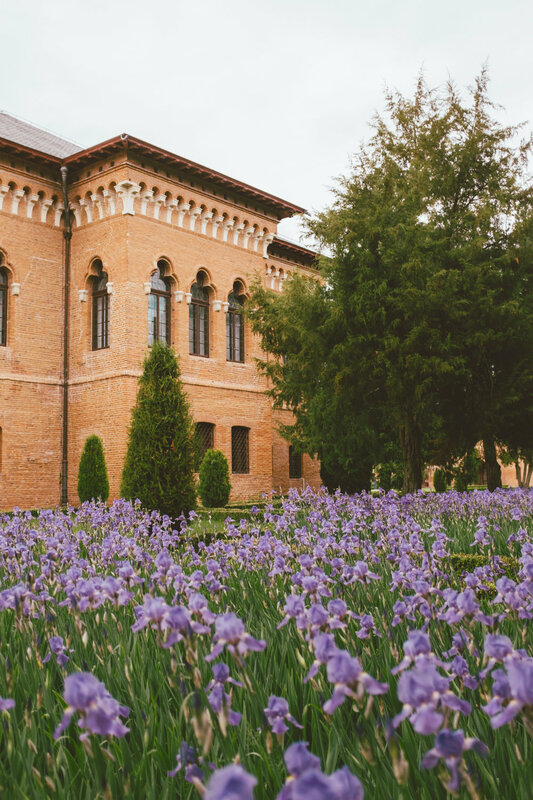 The peaceful – not to mention beautiful - garden makes it the perfect place for a picnic or a relaxing day out. The place is trendy among locals as well as tourists so if you want a quiet visit, go during the week. One of the most controversial buildings in Romania, the Palace of the Parliament is the second-largest building in the world, after the Pentagon. The Palace also has an underground system, which leads to different parts of the city. The Palace offers different kind of tours including the standards tour and the underground tour. When visiting, don't forget to bring your passport. You can check the different type of tours they offer here. Make sure to go over the rules too! The Athenaeum is a beautiful concert hall located in the center of Bucharest. Make sure to visit the inside and attend a concert even if you are not a fan of classical music. Paris is not the only city with an Arc de Triomphe! If you are planning to visit the Arc, make sure to stop by Herăstrău Park – One of Bucharest most beautiful parks. I was lucky to have the Arc on my way to the hotel; I got to enjoy the view day and night. 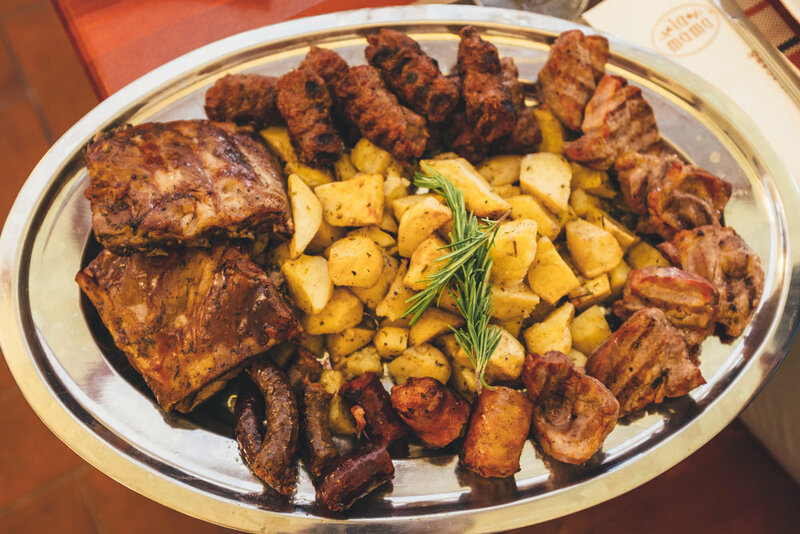 Stay tuned for my local guide to eating in Bucharest! Another great way to experience a city is by mingling with its locals. The Bucureșteni are very friendly, eager to show off their country, and they will never pass on an opportunity to dance and have fun! I also got to meet in person my friend finally - Romanian blogger, Mihaela! Transportation is very affordable in Bucharest – like everything else. However, avoid taxis as they may take advantage of unsuspecting visitors. I recommend arranging transportation from the airport to the city or your hotel – you can do so here. From there, UBER is your best friend. You can also get around Bucharest via public transportation. If you would like to stay connected, get a prepaid sim card - Did I mention Bucharest is very affordable? - I used the phone company Orange. Having an internet connection and a Romanian phone number was life-saving. 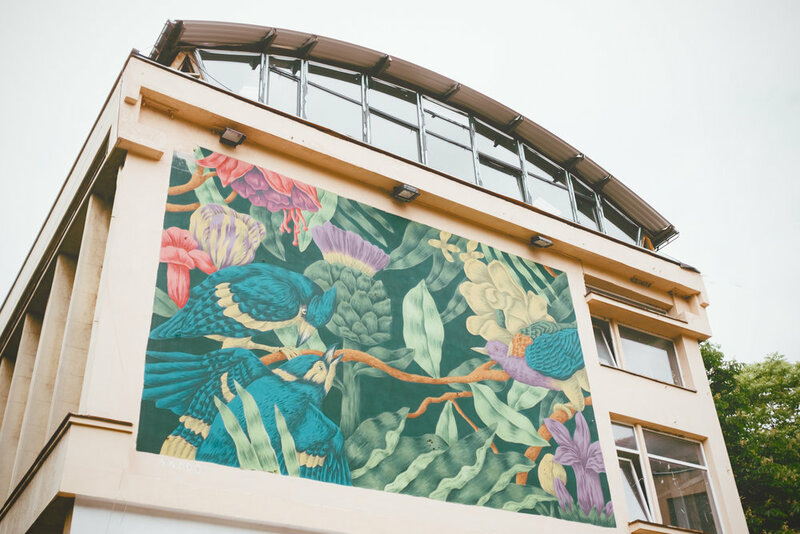 To the naked eye, Bucharest seems like another city brushing off its communist past but spend some time exploring its twisted alleyways, secret passages, or meeting its happy residents. You will inevitably fall in love with the city – just like I did. A big thank you to the Experience Bucharest team and partners for hosting me and for making this trip an unforgettable experience. As always, all opinions are my own. Have you ever been to Bucharest? What was your favorite part? Let me know in the comment below! Would like to visit Bucharest? Pin it!